Consolidate research group of the Autonomous Government of Catalonia (2014SGR1017) from 1997. It belongs to Institute of Biomedicine of the Universitat de Barcelona (IBUB) and to the Reference Network of R+D+i on Theoretical and Computational Chemistry (XRQTC) of Catalonia. Would you like to do a PhD in our group? 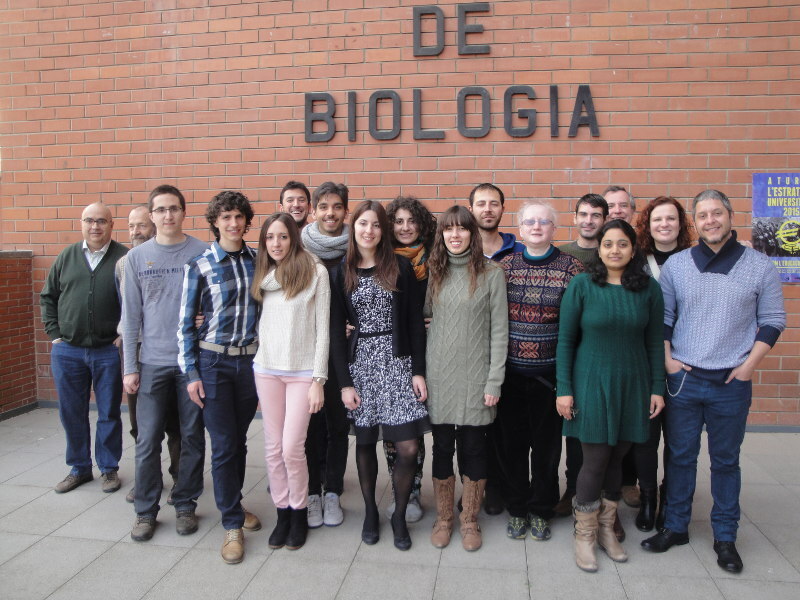 Do you want to conduct a post-doctoral stay in our lab? Contact us here. Analysis of the isotopomeric distribution in different metabolites, which results from the incubation with substrates labelled with 13C. Study of the differences in metabolism regulation between tumoral and non-tumoral cell lines. Design of antitumoral therapies based on the inhibition of different key points of cancer cell metabolism. Study of the antitumoral and antioxidant properties of bioactive polyphenols extracted out of subproducts from the agricultural and forest industries. Characterization of the biological effect of new chemical compounds with antitumoral potential. Modeling of metabolic pathways and prediction of genetic manipulation consequences towards a therapeutic or industrial purpose. Sofware package development using Mathematica(R) for the analysis and modeling of metabolic pathways. Design analysis and optimization of metabolic pathway regulatory patterns. Theoretical development and experimental application of Metabolic Control Analysis (MCA) and Biochemical Systems Theory (BST). Modeling of biochemical systems using kinetic or stocastic methods. Study of enzyme-enzyme interactions and biopolimers-enzymes binding.